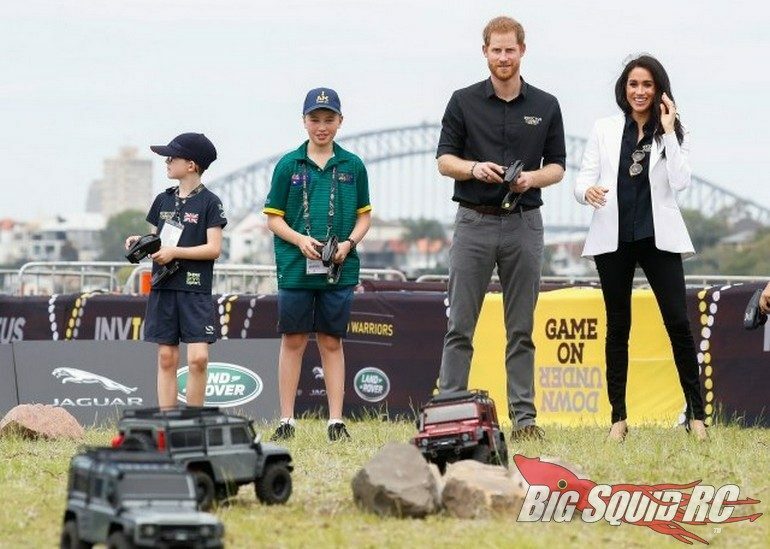 Prince Harry Gets Trigger Time With The Traxxas TRX-4 « Big Squid RC – RC Car and Truck News, Reviews, Videos, and More! The hobby of rc is popular with all ages, as well as all types of people across the glode. A couple of days ago the folks over at ET Online posted an article about Prince Harry and his beautiful wife Meghan Markle attending the Jaguar Land Rover Driving Challenge in Australia. This is where the Prince got his chance to drive a TRX-4 Land Rover Defender. The TRX-4 Defender is not only one of the best performing rc scale crawlers on the market right now, but it is also one of the best looking. From the look of that smile on Prince Harry’s face, it seems that he rather enjoyed his Traxxas trigger time, just like all of us bashers do every weekend! Want more Traxxas news? Find more Right Here on BigSquidRC.